THE KNICKS ARE NOT GETTING KAWHI LEONARD OR LEBRON JAMES. The Knicks don’t have enough cap space, and without trading Porzingis they have no assets to trade for them. Those guys wouldn’t have any reason to come here without Porzingis (and barely any reason to come even if he is here). So let’s stop all this talk right now. OK, rant over. On to the draft. I’m not a draft expert, I hardly watch any college ball, but I did call for Porzingis months before the draft, so lets see if I can make another good prediction this year. Trae Young – The guy can score. The Knicks need scoring. The Knicks also need literally everything, so taking a guy based on one need isn’t the way to go about this. From the little footage I’ve seen I have a feeling Young is going to get creamed on defense. I’m thinking Isaiah Thomas. Can put up a ton of points but is almost unplayable due to not being able to guard anyone. I’d take a pass on Young. Michael Porter Jr. – There’s a chance that his injuries could scare people off. I know the Knicks have had terrible luck with injury prone players, but if Porter Jr. falls to #9 I’d grab him. His upside is too hard to pass up. He’s been all over the place in mock drafts, but he’s trending upward just days before the draft so I’d make a NetBet that he’s not available at 9. Mikal Bridges – He’s a two way player. The Knicks have maybe two of those on the roster if you squint just right. Can’t get enough of guys like that. If he’s available the Knicks should thank the basketball gods and jump on that. Collin Sexton – I’m torn on this one. Drafting a PG the year after drafting Ntilikina seems weird, but maybe they can play together. Sexton can play defense to that would be a nice young defensive backcourt. As I’m writing this I’m talking myself into it. Wendell Carter Jr. – I wouldn’t be a fan of this pick. Doesn’t seem terribly athletic. Might have trouble scoring. Probably couldn’t keep up with quicker power forwards. The Knicks need a stud and I feel like Wendell’s ceiling is solid rotation player. It’s such a crap shoot at #9 who knows. I’m sure a couple of these guys will be really good and a couple will be complete busts. I just hope the Knicks make the right pick. As September 26th which is the start of training camp is less then a month away, it’s time to dive into the Knicks schedule. For all these games i will assume Melo will be a Knick. I’ll breakdown each game in 3 different articles. The Thunder are clearly a superior team especially defensively however this will still be the first regular season game for the new look thunder, Im not convinced the thunder will blow the Knicks out but they should win. Avery Bradley, and also lost Markieff Morris. This is the Knicks Home Opener and I believe the Knicks stand a good chance of winning, there are just so many deficiencies in Stanley Johnson, Andre Drummond, and Reggie Jackson. The Celtics with the new acquisitions of Kyrie and Hayward should be very fun to watch. I don’t think the Knicks have a chance away from home to give the Celtics a good game. The Nets completely reshaped their team this offseason. I’m a huge fan of what Sean marks completed this offseason. That being said they basically have a brand new starting 5 ( Lin was injured last season for almost all of it). So I’m going to take the Knicks here. The biggest question is which team Carmelo will be playing this game on, as there is a distinct possibility Melo ends up with the completely new Cavs team. Regardless the Cavs should have an easy win. The New York Knicks open up the season at home on October 29 against the finally healthy Chicago Bulls. The team then travels to Cleveland for the nationally broadcasted homecoming of Lebron James. Expect the Knicks to be 0-2. We then play the Charlotte Hornets and Washington Wizards, maybe we could be 2-2, but I’m expecting a 1-3 start to the season. It will be interesting to see how the new Knicks will look against 4 probable playoff teams to begin the season. What I’m really looking for in the games against Chicago and Cleveland is for the Knicks to be competitive, show some indication that we can stay with these powerhouse teams. Regardless it should be an interesting start to the season, and to help you get ready here are some links to help you get to know this season’s Knicks a little bit better. J.R. Smith it struggling with the triangle to say the least. Cleanthony Early landed himself a shoe deal with Li Ning. Phil Jackson gave his thoughts on our roster. The Knicks made two random signings… they won’t be with us for long. Shumpert looks good so far, too bad we won’t sign him. At least we get to keep Shane Larkin for an extra year. The Knicks and 76ers were just as bad as the Syracuse Orange when it came to shooting threes. Oklahoma City Thunder – I do not like the Harden trade for this season. The Thunder might be better in the long run, but when you are so close to a title, why mess with it? Kevin Martin can flat out score, but he couldn’t guard me. That’s going to be a problem in the playoffs. His scoring will get them a lot of wins in the regular season though. Los Angeles Lakers – It always works out for the Lakers. 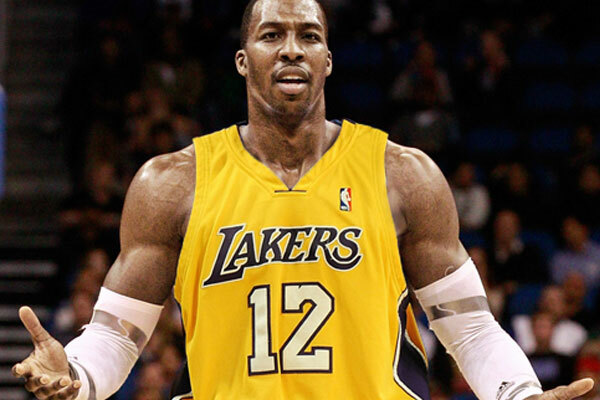 They were able to turn Bynum into Dwight Howard AND add Steve Nash. A Nash, Bryant, Peace, Gasol, Howard starting lineup is as good as it gets. Their bench is pretty terrible, but once the playoffs start and the starters play extended minutes, it won’t matter as much. The window for this unit to win is fairly small since 4 out of 5 of the starters are nearing the end of their careers, but they are on the short list of contenders this year. Ah, another season for the New York Knicks. My time as a Knicks fan has been long and at times, arduous, and this season will probably be much of the same. Due toDespite its best efforts, management has turned this team into a slightly more competent version of what the ‘Bockers trotted out for years under *gasp* Isaiah Thomas. Under ‘Zeke, New York had a team that was full of weird and bad contracts for overpriced subs (Shandon Anderson, Othella Harrington, and Nazr Mohammed) and a disappointing, enigmatic “superstar” (Stephon Marbury) that wasn’t as terrible as some might remember (they never finished with a bottom-five record in the league). Now, the Knicks’ roster is full of overpaid subs (Marcus Camby, Jason Kidd, and yes, Steve Novak) and a disappointing, enigmatic “superstar” (Amare Stoudemire). 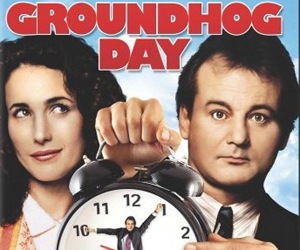 You ever seen the movie Groundhog Day with Bill Murray? I feel like my Knicks fandom is a living parallel. Now, granted, this team has two other top-25 players in Carmelo Anthony and Tyson Chandler, but it feels like we’ve been here before. I’m already waiting out the STAT contract like I’ve waited out Eddy Curry and Zach Randolph before him, and I feel like this team is just as mismanaged as its been in the past. Despite all this, without further ado, here’s my preview for 2012-2013 New York Knicks season.